TIBALDI Pens CREW 60TH are a landmark in pen making history with Bentley, the automobile giant creating its own handcrafted pen sets in association with the world’s best Italian luxury designer pen maker, Tebaldi. These expensive Tebaldi for Bentley pens have a two-tone 18-carat yellow gold nib covered in rhodium and ruthenium. The pen’s barrel has the fine finish identical to Bentley’s dashboard. This finish was first used in Bentley’s earliest car with a technique called engine tuning. The pen’s cap and upper and lower barrel parts are knurled for a good grip while writing for the executive. You can see the level of ink through the transparent window of the Tebaldi for Bentley pens. A handmade tie shaped clip on the pen marks Tebaldi’s signature. Gaia high Luxury fountain pens and roller ball pens by Omas are a glimpse into the dark and deep recesses of the earth. The impenetrable inner core of the earth has inspired wonder, curiosity and interest in man since creation. A miscellany of precious materials such as the white and yellow 18K gold, the Onyx, the Crystal rock, the hematite and the vegetal resin has been utilized into the making of this mystic model by Omas. Gaia High Luxury fountain pens and roller ball pens are a presentation in the celebration of Jules Verne’s futuristic vision of the world. It also commemorates the one hundredth death anniversary. Depicting geographical wonders of the world, the pen absolutely differs from pens that reflect the classic essence of history. The dark grey colour of the metal that it is made of, symbolizes the trip to the dark interior of the earth. The body of the pen from top to toe features the engraved images of gigantic spiders, carnivorous plants, and water beasts. The blend of fear and wonder in the engraving of these horrors makes this particular model different from a range of pen collections. Omas Fountain Pen MARTE is part of the Viaggi dell’Uomo, Travel of Man, Masterpieces collection of custom design fountain pens, roller ball pens and pen sets. The Marte (Italian for Mars) is actually a map of Mars made from classic rose gold to represent the pink-red hue of the planet. 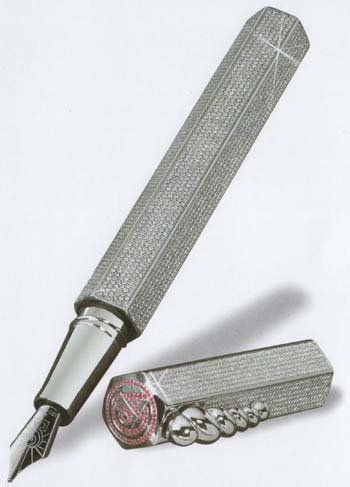 Deserts, mountains and craters all feature on the barrel of this pen and four rubies mark the landing points of the Russian and American probes. The cap is encrusted with 2K of small diamonds reminiscent of the polar ice caps and the clip details astronomer Tycho Brahe’s Mural Quadrant. Even the rose gold nib is engraved with a representation of the Greek God Mars! There are just 30 of these fountain pens in circulation, so they are perfect for the pen collector to add to his expensive pen collections, or for the executive who enjoys writing with designer pens. The Visconti brand is known for best quality, style and creativity. 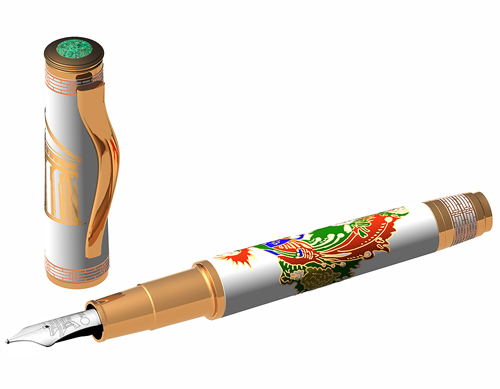 This distinguished Visconti pen is the Forbidden City H.R.H. Limited Edition fountain Pen. Made of black resin, 18K gold and diamonds and boasting of Power Filler innovative filling system invented by Visconti, it is sold for $50,500.00. The beautifully handcrafted Alchemy HRH by Visconti is part of the HRH collection of handmade fountain pens and roller ball pens from this fine pen maker. This luxury pen, unlike other fountain pens, has two nibs, two ink reservoirs and is trimmed with two different metals ï¿½ exquisite gold and silver vermeil. Both nibs are of the best 18K gold and come in different sizes to suit every writing style. Even those used to writing with roller ball pens will love using the Alchemy. The body is made from a classic, rich, red resin and the gold and silver trim is decorated with expensive 4K diamonds and rubies. One cap has gold trim, the other silver, and these trims interlace to create a cosmic map with alchemic symbols – stunning! One of the most remarkable Visconti pens is Ripple H.R.H. Limited Edition fountain pen. 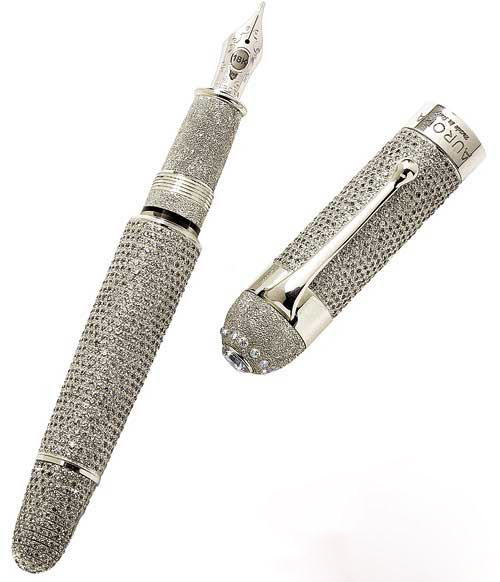 Made of 18K white gold and diamonds and with two-tone 18K gold nib, it costs $57,000.00. It has double reservoir filling system and is sold in two variations – white gold and black. With overwhelming price tag of $60,000, this truncated cone shaped pen is a true embodiment of fact and fancy. Made with 950 platinum and yellow Enamel, with considerable length and diameter, 18K gold rhodiated engraving nib. La Modernista Diamonds was made by the Swiss company Caran d’Ache in 1999 in homage to Antonio Gaudi (1852-1926), the most famous of Modernist architects. 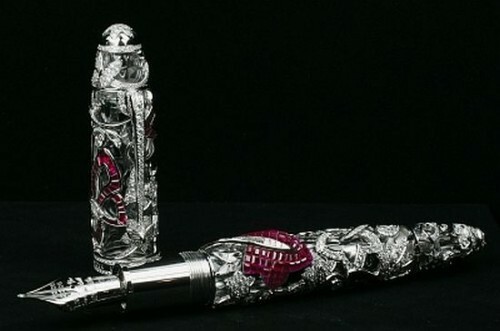 This amazing fountain pen was sold in Harrods, London, for $265,000, becoming the most expensive pen in GUINNESS WORLD RECORDS in 2001. La Modernista Diamonds is made of rhodium-coated solid silver components. It boasts of an 18-carat rhodium-coated gold nib and is set with a total of 5,072 Wessel ton diamonds weighing in at 20-carats, as well as and 96 rubies totalling 32-carats. The pen was hand-made by master jeweler Robert Perron and it took him six months to complete this true masterpiece of writing instruments. To commemorate the centenary of these two renowned brands, Montblanc and Van Cleef & Arpels have collaborated on this fine, limited editions Mystery Masterpiece. Three individual editions, each set with either rubies, sapphires, or emeralds, will be crafted. Using the “Mystery Setting” technique for the gemstones, these intricate writing instruments are set to stun with their extravagant design, and equally-extravagant price: at US$730,000 each, they are truly a fitting homage to a century of each brands’ respective history. 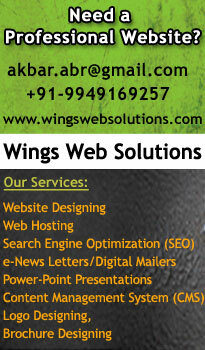 The Aurora Diamante is the most expensive writing instrument till date. Only one is for sale per year. The Aurora Diamante contains over 30 carats of De Beers’s diamonds on a solid platinum barrel. It has a two-tone, rhodium-treated, 18KT solid gold nib and is personalized with a coat of arms, signature or portrait. Aurora Pens says it is the only over 30 carat pen in the world.